Pre-registration required; no fee. Space is limited. Two people per store max. Open to Winter Institute registered booksellers, this 101-level seminar will cover the fundamentals of budgeting, understanding cash flow, business financing, bookkeeping, and financial statements. The workshop will include a segment focusing on strategies for achieving higher profits and improving cash flow. 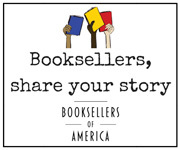 The program will conclude with an interactive group discussion, working through an example of how booksellers can use their store’s financial information to make sound business decisions. The seminar will concentrate on bookstore finances as opposed to bookstore accounting, and though it will be helpful for attendees to be familiar with basic bookstore finances, deep financial experience is not required. Lunch will be served.